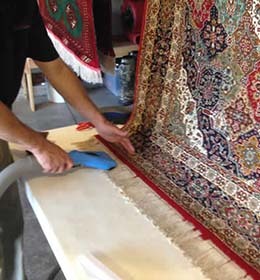 Outstanding deep cleaning of rugs. Free collection and delivery. 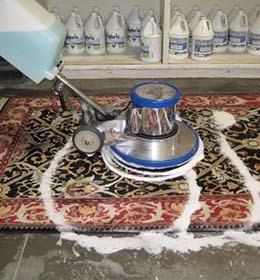 Our rug and carpet cleaning services are second to none. 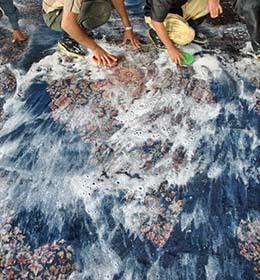 Over our long history, we have encountered every kind of rug, carpet and textile – and every kind of stain – that you can imagine. 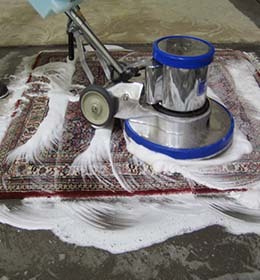 Our cleaning techniques are eminently suitable for delicate, antique textiles and they produce outstanding results, removing stains from food, drink, dirty shoes, pets and household spillages with no risk to the rug itself. 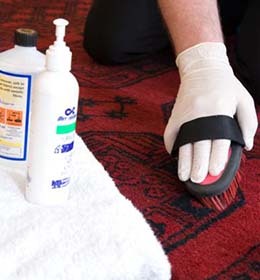 We offer both spot-cleaning and an all-over deep clean service, during which we also eliminate nasty odours from the rug and remove all signs of dust, discolouring and mould. 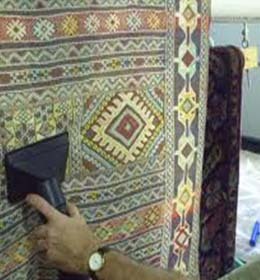 As well as rugs and carpets, we also clean tapestries and wall hangings. We recommend cleaning rugs and other precious textiles at least once every three years to retain the sheen and vibrancy of the colours, and to minimise any permanent damage.